While the original iPhone and its iPhone OS came with a PDF reader that allowed users to view email attachments, that was all we had for a LONG time. There have been plenty of iOS apps that stepped in to fill this gap, and have allowed us to create or annotate PDFs. Many of them are still very good and have features that make them worth holding onto. 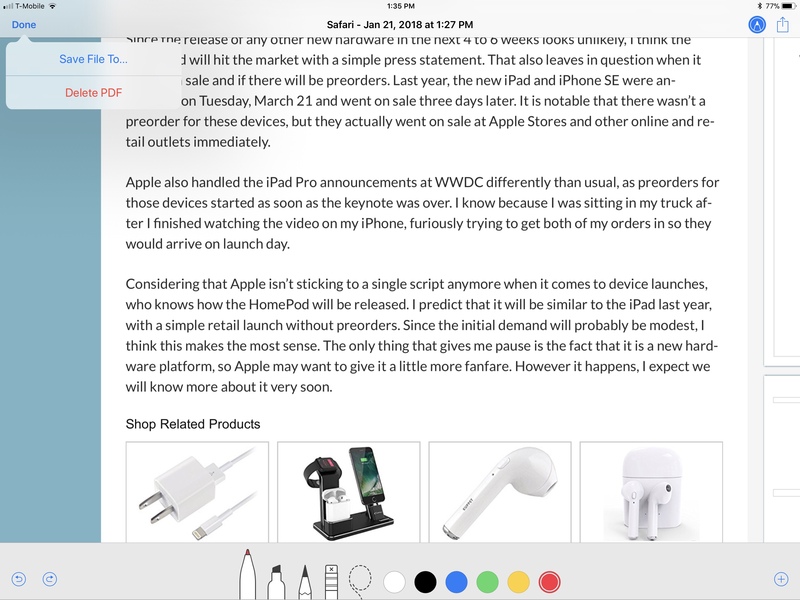 Thankfully, they aren’t as necessary as they once were, because Apple FINALLY added a comprehensive set of tools to allow users to create and annotate PDF files in iOS 11. If you have never tried this feature out, this a great time to dig in and get familiar with it. We now have the ability to create PDFs from web pages in Safari and from Notes. In either app, just tap the Share icon at the upper right to open the menu, where “Create PDF” is now an option. You may have to scroll to the end of the list to find the Create PDF option the first time you look for it. You can change that by selecting “More,” and moving Create PDF closer to the front of the list. It’s handy enough that I now have it set up as one of the first few options in both Safari and Notes. Choosing Create PDF will immediately take you to an edit interface that is similar to the one you get when you create a Screenshot in iOS 11. 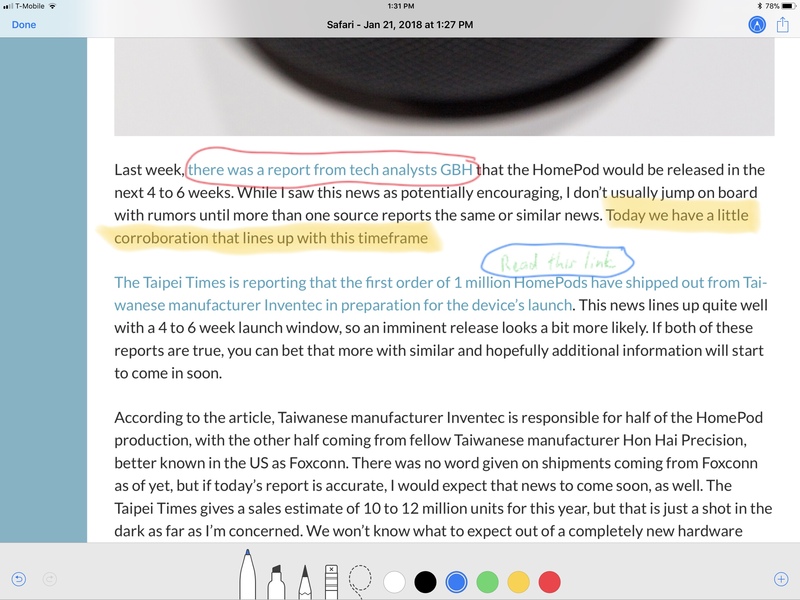 As you can see above, the entire viewable webpage is captured, making this method superior to a screenshot for annotating or marking up multiple items, as a screenshot only grabs the content visible on the screen at that moment. Tapping the pen icon in the top right corner opens the editing options, which are then visible at the bottom of the screen. 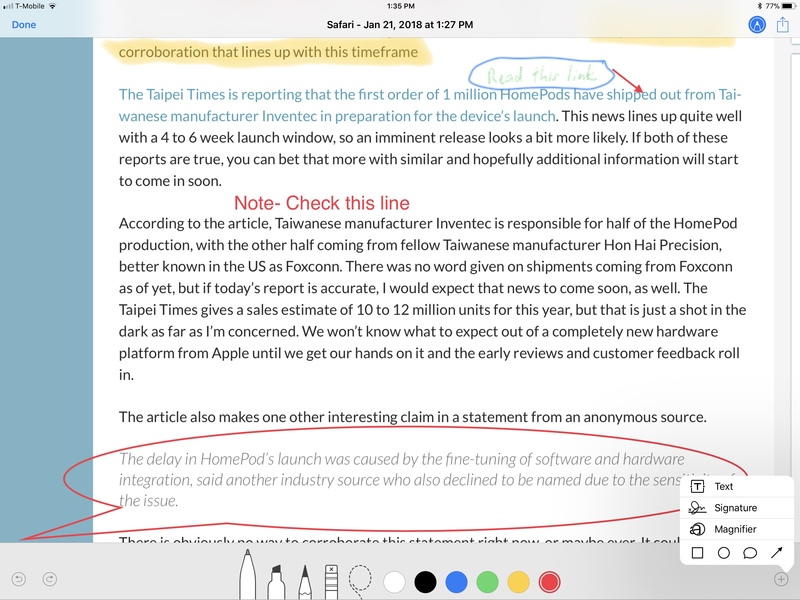 You can select from Pen, Highlight, Pencil, Eraser (which only works on your annotations, not the document itself), select lasso. You can then choose from six basic colors for your Pen, Highlight, or Pencil work. There are Undo and Redo options at the bottom left, which highlight and are active once you start adding content. The same options are also available and work the same in the Notes app. On an iPhone, you will have to add these annotations with your finger or a third party capacitive stylus. 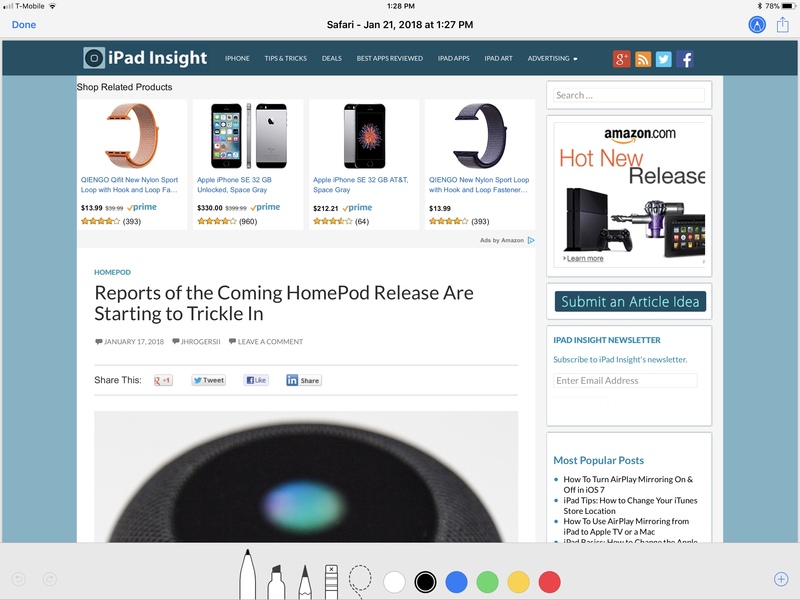 With an iPad Pro, you can also use the Apple Pencil, which works great for this purpose. Regardless of what you use, it is very easy to add whatever drawing-based additions that you need with the tools provided. There is a “+” sign on the bottom right of the screen that also gives you access to several additional features. These allow you to insert a text box that is fully editable, a box for your signature for forms that need to be signed, or an adjustable magnifier. At the bottom of the list, you get options to insert shapes, which include a rectangle, circle, quote balloon, and arrow/line. All of these shapes have basic adjustments for both color and thickness. Just as with the drawing options, these are all very easy to use. One thing to note about these items if you are using the Apple Pencil is that you will need to use your finger to move these elements around after adding them. The Pencil only draws lines or highlights. Use two fingers to navigate the page (one finger will still draw a line, even if you are using a Pencil) and use one finger to select a text box or shape move it into place. Once you are finished marking up your document, tap the “Done” button at the upper left corner of the screen. As with the Screenshot editor, you have the option to delete the document if you change your mind. If you want to proceed, select Save File To…, and you will be presented with location options. As you can see, these options are based around the new Files app in iOS 11. 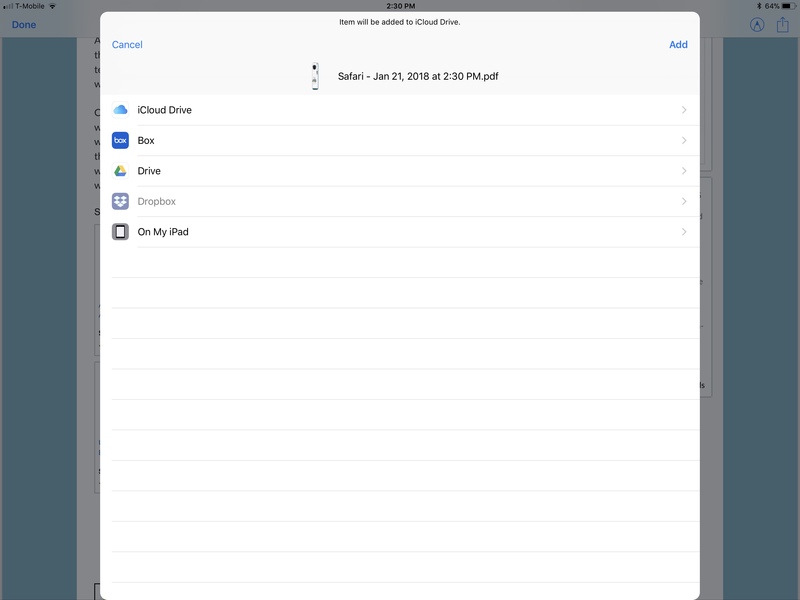 Whatever cloud-based file sharing services you have apps installed for that integrate with the Files app (most of the major ones do at this point) will show up as options here, as well as storing locally on your device. Once the file is saved, any other device that has access to that service can also access it. You can also email the file directly from the Files app, but you will have to go find it. 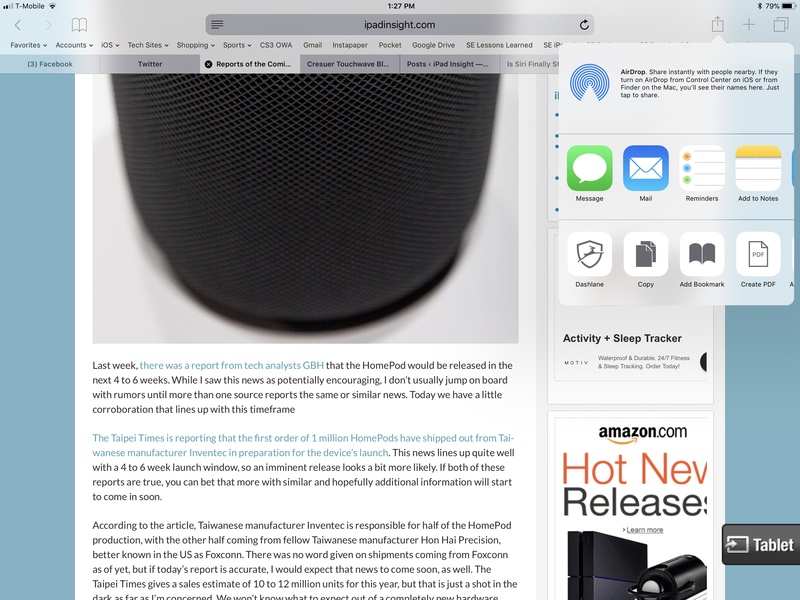 Once the PDF is saved, you are returned to where you were in either Safari or Notes. Once you locate your PDF in Files, you can either tap and hold on it to get options, and then select “Share,” or tap the file to open it, and tap the Share Icon at the top of the screen. Either select the iOS Mail app, or your Email app of choice elsewhere in the list, and you can send this document out for review. However, using iOS Mail gives you some extended editing and collaboration options, as you will see below. Here is what the person you are sending the PDF will see. The great thing about using PDFs in iOS 11 is that the document can be marked up further and returned right from within the iOS Mail app. 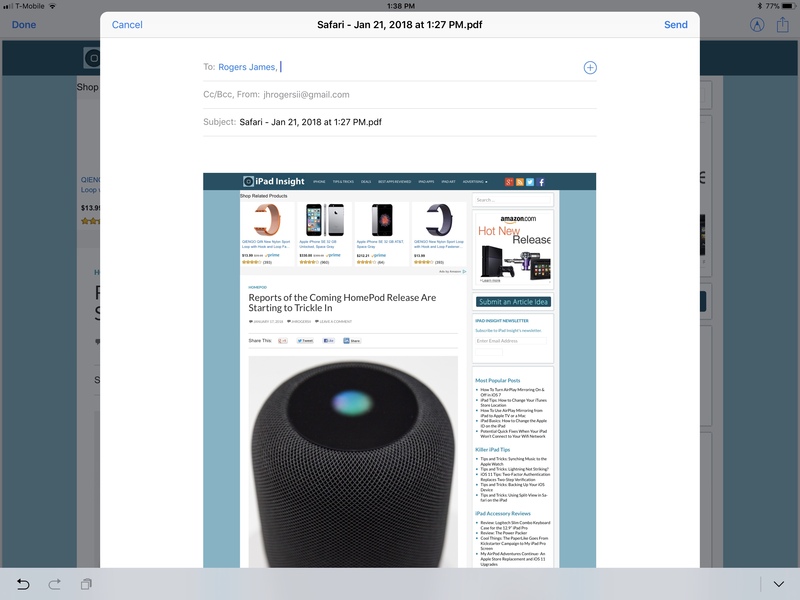 Apple has added the ability to annotate any PDF (assuming that the file doesn’t have certain security settings enabled) that the device has access to, but Mail feature is particularly useful because you don’t have to save the file to your device’s file system to edit. You just tap on the file attachment to download it, tap again to open it, and then you have the exact same editing interface shown above. When you are done, you can just send the edited PDF back in response. It is a good system that is very fast and easy to use once you know its there. While other apps will give you more power and flexibility, this is perfect for fast notes and document signatures. 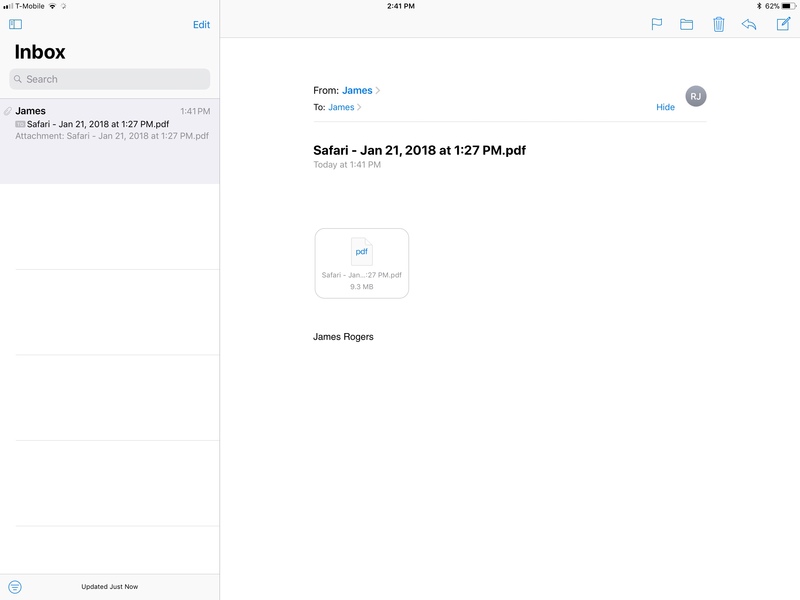 Another cool feature that works in much the same way as PDF editing in iOS 11 is the ability to add a drawing directly to an email in the iOS Mail app. This is another one of those handy, but easy to miss features, if you don’t know it’s there. To add a drawing, just tap and hold on any empty space in your email until the pop-up options appear, as seen below. This is the same way you would add photos or attachments in previous versions of iOS. Now, you can see that there is an “Insert Drawing” option at the end of the list. 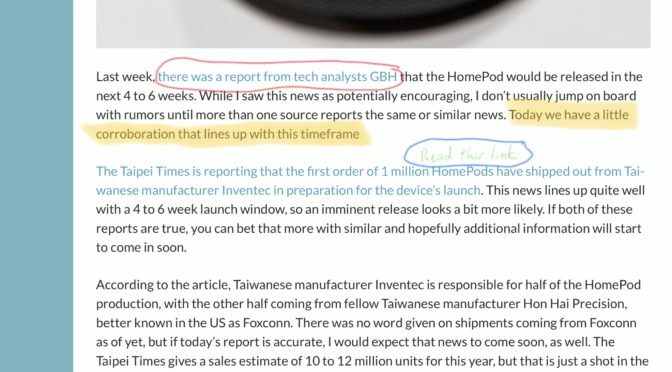 You get the exact same editing interface as you do for editing screenshots to annotating PDFs, but in this case, you are just adding an image directly to the body of the email. If you are a big Pencil user and prefer to hand write some messages, this is definitely the easiest way to do it. So that’s a wrap for creating and editing PDFs using iOS 11’s new built-in features. Have you used this before, or is this the first time you’ve seen this iOS 11 feature? I use the screenshot editing feature all the time, but I just stumbled upon PDF creation again about a month ago. Since they aren’t all right there in your face all the time, it is easy to forget about some of the new additions in each version of iOS after the release coverage fades. That was a big reason why I decided to cover these PDF creation and annotation features as our first tip of 2018. If you have any additional questions or comments on iOS 11’s new PDF tools, or ideas or questions for future Tips and Tricks consideration, let me know in the Comments section below, on Flipboard, on our Facebook page, or on Twitter @iPadInsightBlog.